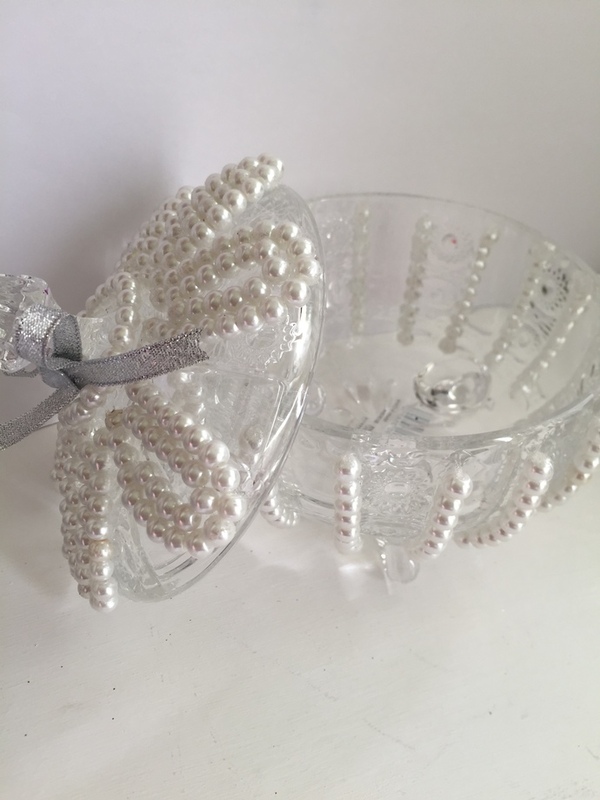 Keep your jewellery safe with this lovely glass dish. Add this vintage look to a vanity table. 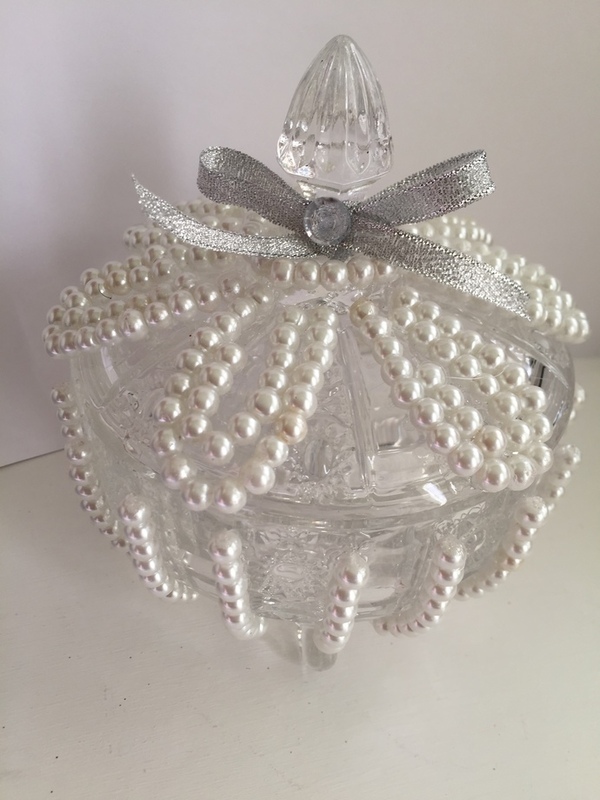 Yes he Dish is accessorised with round white pearl beads and silver ribbon.